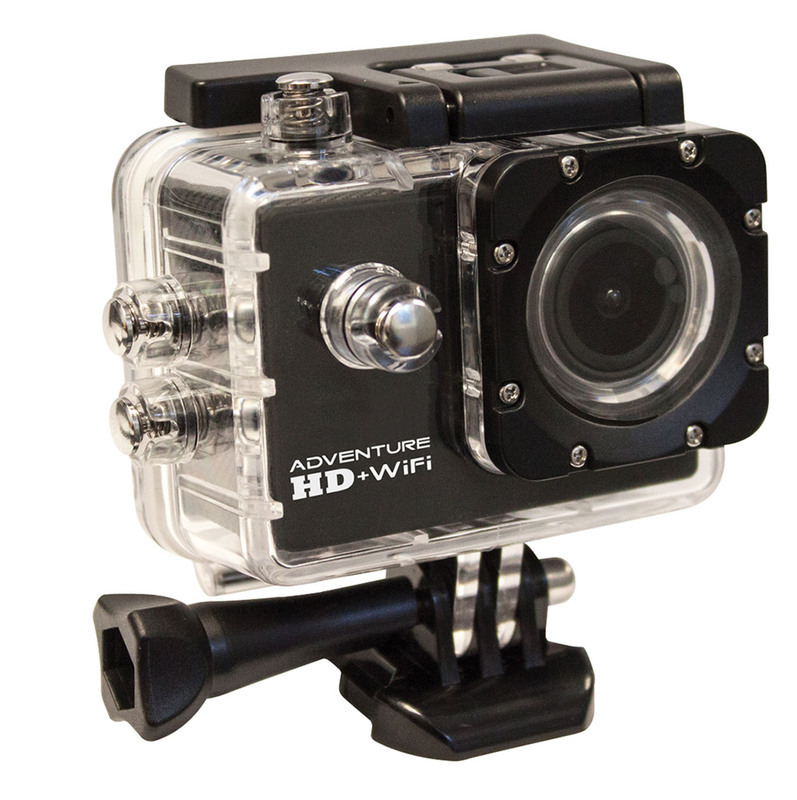 Adventure action sports camera with HD+Wi-Fi features 150º Wide-Angle lens,1.3 Megapixel CMOS-Sensor with selectable image resolution (12MP, 10MP, 8MP, 5MP, 3MP), 1.5 inch LCD screen with Multi-lingual language display. Connects to smart phones via Wi-Fi. Waterproof down to 98 feet. 900mAh Lithium-ion battery provides up to 70 minutes of battery life. Requires a Micro SD card up to 32GB (not included), Connects to Micro USB or Micro HDMI. Comes with Waterproof case, camera holder, camera holder clip, staight joint mount x3, buckle mount, tripod mount & adapter, J-hook Buckle, flat & curved adhesive mount, USB cable, Velcro strap, wire tether, 3M stickers, spare waterproof backdoor, zip ties.